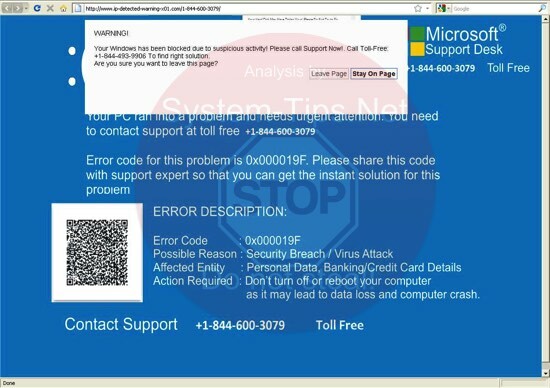 Ip-detected-warning-x01.com is yet another scary pop-up window currently attacking many Windows computers. The pop-up has specifically in mind to force users into paying money in favor of cyber frauds who stand behind these pop-ups. Interacting with such pop-ups is extremely dangerous. You may end up wasting your money for nothing.